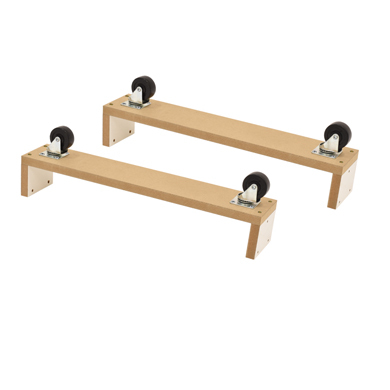 Add casters to your slatwall gondolas item 3506 and 3434, double sided display item 3432 and super tower display item 20026. Casters easily mount onto the bottom of our Slatwall Displays using included screws and your screwdriver. The 2" locking casters with base make it easy to move your slatwall displays anywhere you would like them. Slatwall displays sold separately.